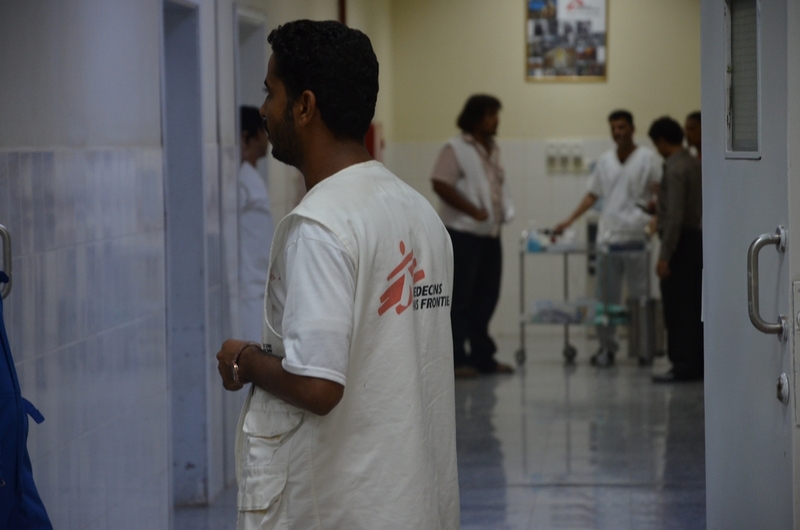 Yemen: "We are having problems with the dead bodies"
An update from three members of the Médecins Sans Frontières/Doctors Without Borders (MSF) emergency teams in Aden and Sana'a. The MSF hospital in Aden, southern Yemen is full and more than 250 people have been injured as a result of heavy clashes in the space of a few days. Medical teams on the ground are currently facing an acute emergency situation. Read also an article on the unfolding situation in Yemen: "We are on lockdown inside the hospital"
"This is the most difficult day I have lived with MSF since I joined the organisation three years ago. A large number of people were admitted to the hospital which was full of wounded. We hear loud gunshots in the area where we are working and we were afraid that armed people may come inside the hospital with their weapons, where we have injured from various groups beside the civilians. The situation is extremely difficult outside the hospital and we do not know what's going to happen next." - MSF radio operator on Thursday 26 March. "We are in need of more human resources and daily workers and volunteers." "The situation is difficult in the hospital. On Thursday alone we received 87 injured. It was tragic. We were working in difficult conditions and all the time lowering our heads so that we are not hit by the shooting we were constantly hearing outside. The day before that, we received 45 cases. Since last week and until today, MSF has received huge numbers of wounded – at least 250 – and we have had to use our office space, equipping the rooms with mattresses to receive the wounded. The situation is still tragic in Aden. "With this situation, we are in need of more human resources and daily workers and volunteers. We are also facing a problem with the dead bodies which were filling the morgue, as the families of the dead were not able to come to the hospital to pick them up. It is still dangerous for us – even getting to the hospital is very risky. I had to leave the hospital last night to see my family and make sure they have what they need during my absence." - Dr Hani Isleem, external activities manager, on Friday 27 March. MSF staff in MSF emergency surgical hospital in Aden, February, 2013. "We were supposed to be supporting our team in Aden but the situation suddenly got tense and domestic flights were cancelled. 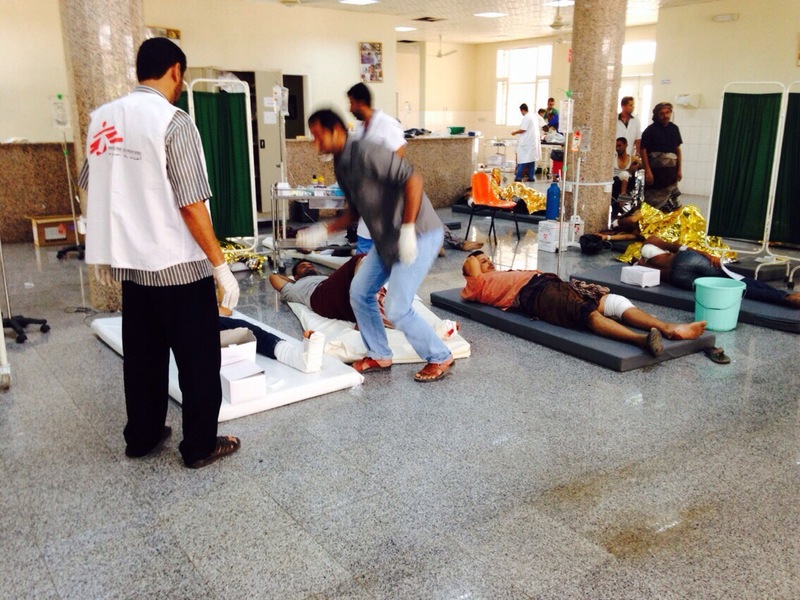 We are no longer able to reach Aden and support the medical team there." - Moeen Mahmoud MSF Yemen Emergency Pool Manager, Friday 27 March. Yemen: MSF faces an influx of war wounded as fighting intensifies in Hodeidah, Hajjah, Saada and Taiz governorates.